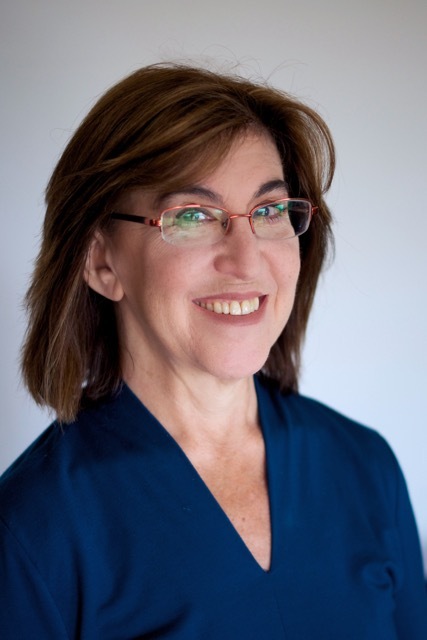 As one of the most sought after genetic genealogists and internationally recognized educators in the field, Angie Bush combines years of experience in biotech with a passion for genealogical research and a unique ability to solve seemingly impossible cases. Her primary research interests include cases of unknown parentage, such as recent adoption and donor conception; triangulating answers to tough genealogical questions using traditional records and genetic evidence; non-traditional families and the LGBTQ community. Angie is currently Region 1 Director for the National Genealogical Society and chair of its Genetic Genealogy Committee, and a full-time senior genealogist with Ancestry ProGenealogists in Salt Lake City. She is an active player on the national stage, presenting frequently on new trends in genetic genealogy. Behind her passion for research lies the belief that genealogy is an opportunity to connect with people from around the world and to enable them to connect with each other. She enjoys attending conferences and events where she can connect with others who share her passion for genealogy. Angie lives in Sandy, Utah with her husband and two descendants. What happens when a "tech guy" with a love for history gets laid off during The Great Recession of 2008? You get Thomas MacEntee, a genealogy professional based in the United States who is also a blogger, educator, author, social media connector, online community builder and more. Michael L. Strauss, AG, is a professional Accredited Genealogist and a nationally recognized speaker. A native of Pennsylvania and a resident of Utah, he has been employed as a Forensic Genealogist for 25 years. Strauss has a BA in History and is a United States Coast Guard veteran. He is also a qualified expert witness in court in New York, New Jersey, Pennsylvania, and Virginia. Strauss is a faculty member of IGHR (in Athens, GA), SLIG (in Salt Lake City, UT), and GRIP (in Pittsburgh, PA), and the Course Coordinator for the Military Course at IGHR and the Course Coordinator for the Mid-Atlantic Course at GRIP. He has been involved in Civil War reenacting for more than 25 years, serving in two units, namely; the 99th New York Infantry and Battery A., 5th U.S. Artillery and most recently the Utah Living History Association. Lisa A. Alzo, M.F.A., is a freelance writer, instructor, and internationally recognized lecturer, specializing in Eastern European genealogical research, writing your family history, and using the Internet to trace female and immigrant ancestors. She grew up in Duquesne, Pennsylvania and earned a Bachelor of Science degree in Nutrition from West Virginia Wesleyan College in 1987 and a Master of Fine Arts degree in Nonfiction Writing from the University of Pittsburgh in 1997. Lisa is the author of eleven books, including The Family Tree Polish, Czech and Slovak Genealogy Guide, and the award-winning Three Slovak Women, and hundreds of magazine articles. Lisa is a contributing editor for Family Tree Magazine, and teaches online courses for Family Tree University and The National Institute for Genealogical Studies. She is frequently invited speaker for national conferences, genealogical and historical societies, and webinars. An avid genealogist for more than 27 years, Lisa also chronicles her family history adventures on her blog, The Accidental Genealogist. Sara Cochran has been conducting genealogical research for over 20 years. She is an alumnus of the ProGen Study Group, holds a Boston University Genealogical Research Certificate, and a Bachelor Degree in Library Science. Her research has taken her into the records of Ireland, Italy, and Austria, as well as most of the United States. She began her career as a professional genealogist and speaker in 2016 after spending over 11 years working for a pre-employment background check company. She especially enjoys breaking down brick walls for her clients, discovering the stories of black sheep and forgotten ancestors, and helping individuals preserve their genealogical and photographic legacy. Sara is a member of DAR and Registrar for Aurantia Chapter in Riverside, California, and serves as Treasurer for the Southern California Chapter of the Association of Professional Genealogists. She is also a member of the Daughters of Union Veterans of the Civil War, the Genealogical Speakers Guild, the National Genealogical Society, SCGS, and the Genealogical Society of Riverside. She lives in Riverside County, California, 6 miles from the National Archives (NARA) Regional Office where she volunteers on a regular basis. Dan got his start in family history when he was ten years old. He dad took him to visit the grave of his great-grandfather. He was hooked! He has spent nearly thirty years researching his own family and helping others make history a part of their story! Dan is a popular speaker and educator, and has spoken across the United States and Canada. Dan is a member of the Association of Professional Genealogists, the Genealogical Speakers Guild, and the Association of Gravestone Studies. His is the Vice-President of the Michigan Genealogical Council, the President of the Hungarian Genealogical Society of Michigan, and serves on the Board of Directors for many other genealogical, historical, and preservationist organizations. He lives in central Michigan with his remarkably patient wife, six children, and the world's laziest cat. Outside of the genealogical world, Dan is a substitute teacher and an award winning fiction author. Mary Eberle, JD is a DNA expert and genetic genealogist. She formed DNA Hunters,® LLC in 2015. Her team finds people’s biological parents, grandparents, and other ancestors. Mary is a retired patent attorney with extensive DNA experience. Over 30 years ago, she began her scientific career. She developed DNA tests for transplant patients. Today, Mary clearly explains DNA by weaving stories, metaphors, and examples into her teachings. Jean Wilcox Hibben; PhD, MA (DBA Circlemending), has been involved in family research for over 40 years. A former Board Certified genealogist, she is a member of the Daughters of the American Revolution, the National Genealogical Society (NGS), and is or has been on the following Boards: the California State Genealogical Alliance (now disbanded), the Genealogical Speakers Guild, the International Society of Family History Writers and Editors, the So. Calif. Chapter of the Assoc. of Professional Genealogists (current President and past APG board member), and the Corona Genealogical Society (President and webmaster). She maintains her own website with information about her presentations, CDs, articles, projects, etc. : www.circlemending.org. Janice Lovelace, Ph.D., has nearly thirty years of experience in genealogical research as well as academic work in the area (Genealogy and Family History certificate at University of Washington and certificate program in genealogy at Boston University). She frequently presents at international, national and regional genealogy conferences on health and genetics, ethnic minority genealogy, and research methodology. Dr. Lovelace has been a freelance writer since the 1980s and has written a number of articles. She is an instructor at the Midwest African American Genealogical Institute (MAAGI) and author of the National Genealogical Society’s online continuing education course African American Roots: A Historical Perspective. A member of the Seattle Genealogical Society for many years, she has also served on the SGS Board. She is also a member of Association of Professional Genealogists, the Ohio Genealogical Society, Afro-American Historical and Genealogical Society (AAHGS) and the National Genealogical Society. In her work life, Dr. Lovelace is a licensed clinical psychologist and has been a private practice therapist and a faculty member teaching psychology. A passionate genealogist, Jill Morelli, Certified Genealogist®, lectures about her Midwestern, northern German and Scandinavian ancestors locally, regionally and nationally and is a frequent webinar presenter. Her presentations on methodology, unique records sets, Swedish research and house histories convey information that is readily usable by attendees whatever their skill level. Jill writes about her genealogical interests for local, regional and national periodicals, including the National Genealogical Society Quarterly, APG Quarterly, American-Ostfriesen Zietung, Illinois State Genealogy Society Quarterly and the NGS Magazine. Her topics are rooted in her own ancestral stories; for example, she is presently working on articles about three Civil War deserters who became Confederates when recruited out of a Confederate prison in North Carolina; a grand uncle who was an “inmate” of three Illinois insane asylums from 1872 to 1905, and an elusive German immigrant who was described as an “old sinner” after his wife obtained possession of their Illinois farm in 1884. Who says researching isn’t fun! Beginning her certification journey in 2014, she launched a blog: 'Genealogy Certification: A Personal Journey', which focused on topics related to skill building. She received that credential in January 2017 and started an online class focused on demystifying the certification process. Judy has been researching her family tree from the age of 12, specializing in French-Canadian, Acadian, Native American and Michigan research. Beginning as a professional genealogist in Europe in 1993, she has lectured at the National Genealogical Society’s conferences, as well as conferences in Europe and around the United States. She is currently writing a book of the matrilineal descent of her oldest female ancestor in Normandy, France. Traveling extensively around the world, Judy has visited and researched in the villages and archives of Germany, France, Quebec, and Ontario where her or her husband’s family lived. Owner of Lineage Journeys, she conducts research for clients and offers presentations in churches, libraries and organizations. Judy is an international writer, speaker, workshop leader, the Corresponding Secretary for the Oakland County Genealogical Society, a founder of the English-Speaking Genealogists of Europe, NATO Chapter and a former AOL Genealogy Forum leader. A member of the National Genealogical Society, Detroit Society for Genealogical Research, French Canadian Heritage Society of Michigan and many more. Dave Obee has written a dozen books on genealogy and history and has given more than 600 presentations in Canada, the United States and Australia since 1997. He is editor and publisher of the Times Colonist daily newspaper in Victoria, British Columbia and is a member of the services consultation committee at Library and Archives Canada in Ottawa. Dave is a columnist for two genealogy magazines and is a member of the board of Canada’s History Society, which promotes the teaching of history in Canada. Dave has been awarded an honorary doctorate of laws by the University of Victoria for his work as a historian, genealogist and journalist. He has received several provincial and national awards for his efforts to spread the word about history and genealogy. Pam Vestal is a professional genealogist, author, and speaker from West Linn, Oregon, and the owner of Generations Genealogy, LLC. Her articles have appeared in the Association of Professional Genealogists Quarterly and her lectures have taken her all over the west coast. When she isn't giving presentations or researching on behalf of her clients, she offers private training to those seeking to improve their research skills. 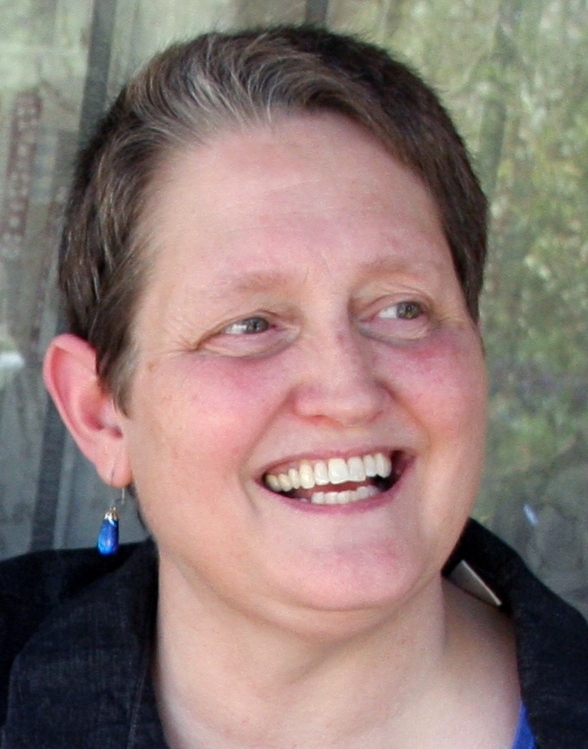 Katherine R. Willson of Ann Arbor, Michigan is an engaging & dynamic genealogy lecturer at local, regional and national events; an educator teaching beginning, intermediate, and advanced genealogy classes in Ann Arbor since 2001; the author of The Genealogist’s Guide to Grand Rapids, Michigan (published in 2018 by The In-Depth Genealogist), and a full-time professional researcher for private clients. Katherine is the creator of the “Genealogy on Facebook” list of 13,200+ genealogy/history links on Facebook, and currently serves as the President of the Virtual Genealogical Association; President of the Michigan Genealogical Council; Director for the Association of Professional Genealogists; Secretary for the Genealogical Speakers Guild; Social Media Manager for the Genealogical Research Institute of Pittsburgh; and Publicity Chair for the Federation of Genealogical Societies’ 2019 Conference Committee. She's also a member of the National Genealogical Society, the New York Genealogical & Biographical Society, the New England Historic Genealogical Society, the Detroit Society for Genealogical Research and the Genealogical Society of Washtenaw County (MI).